A few weeks ago I got a bit of a shock when I realised I had just 11 weeks left until D-Day (providing the baby turns up on time), and I shared a panicky status update on Facebook saying that so far my preparations had so far stretched as far as buying one t-shirt for the baby, which prompted several of my lovely friends to offer both advice and items their own children had grown out of (including a very welcome pram, cot, moses basket and clothes). Today brings the milestone of 8 weeks until our estimated due date, which is even more scary, but I am pleased to say that we are in a rather more prepared state now. That’s thanks to the generosity of our friends and family, and the fact that we have actually got off our backsides and started sorting things out. We were lucky to be in a position 4 years ago (almost to the day!) to buy our first house, which came with three bedrooms, so we have enough space for our boy. However, four years in our house has meant we have filled those four bedrooms with our own things, including a rather indulgent dressing room. The dressing room has now been upgraded to baby’s room, which meant we needed to get new fitted wardrobes in our bedroom. 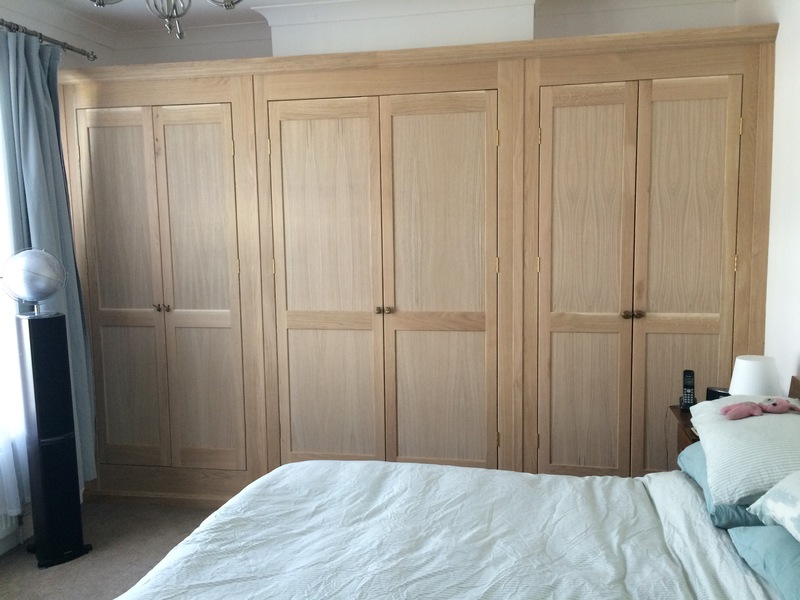 My friend Charles is a carpenter who moved back to the UK from Sweden a couple of years ago and has impressed me with the photos of his work on his Facebook page, so we had him over to measure up and quote for us to have bespoke wardrobes made, which exactly fit the space we had in our room. 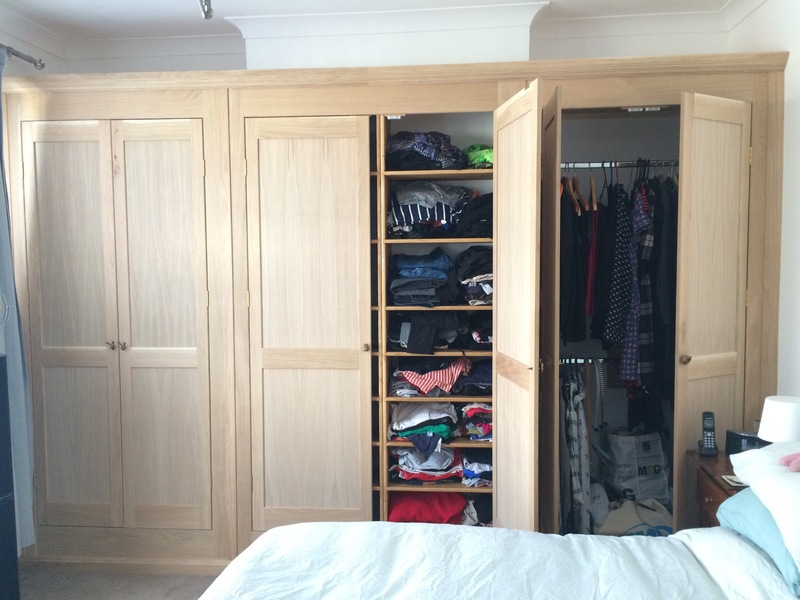 As you can see from the picture he did an amazing job, and we are totally thrilled with our new wardrobes. 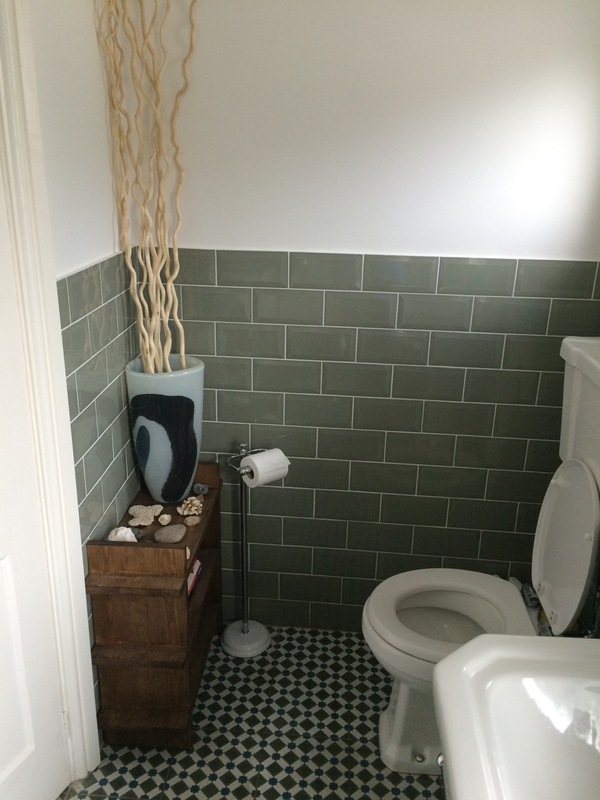 He also knocked up a little shelf unit for us for our bathroom, finally finishing that job which we started over a year ago! Sadly I don’t have billions of followers to whom I can promote Wood That I Could to, but if any of you need something beautiful to be built then please contact Charles, who is based near Colchester. Our next project is to have him back to build a dresser in some redundant space in our hallway. So now our clothes have been relocated, we’re spending next weekend decorating the baby’s room (I am already picking up tips from fellow food bloggers such as Roz at The Foodie Couple, who is due around the same time as me). We also spent a very informative couple of hours at the John Lewis nursery department where we had all of the items explained to us (we literally were clueless) and put together a list of items we might need. The service is free and there is no obligation to buy anything, but allows you to put together your shopping list, review it at your leisure, and have everything delivered in time for the baby’s arrival. 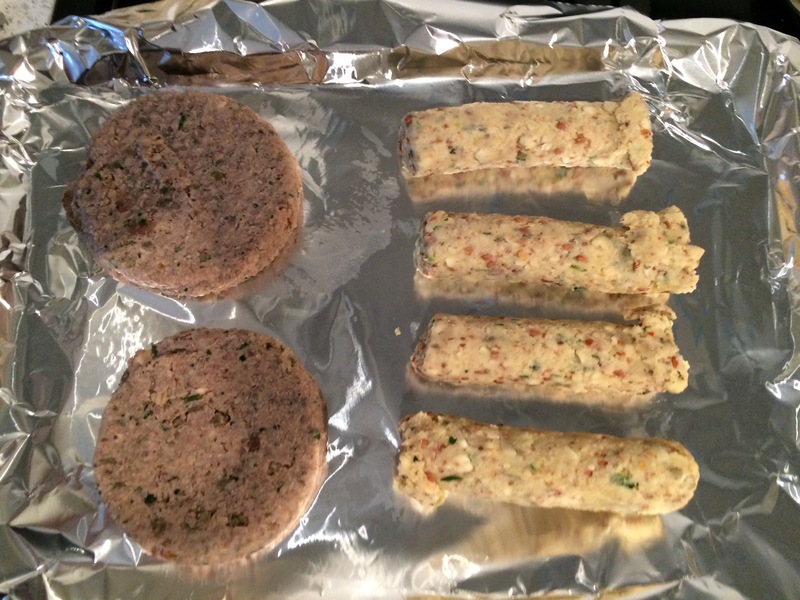 Now I am starting to think about what I can prepare food-wise before the baby comes. 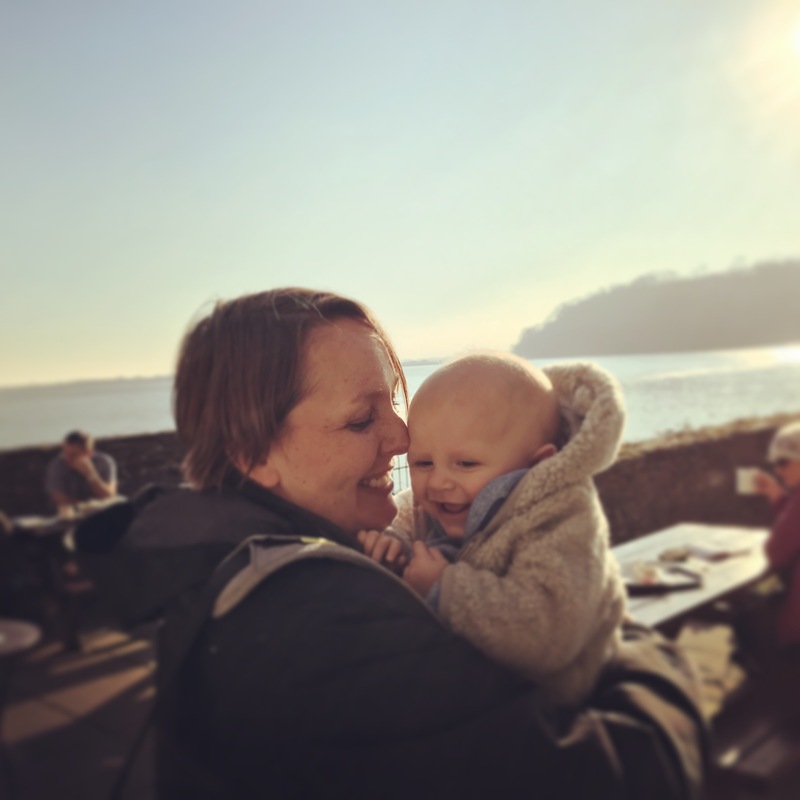 One of my favourite bloggers The Little Loaf, who recently had a baby boy, has written about preparing meals during maternity leave which she could easily reheat after the baby’s arrival. 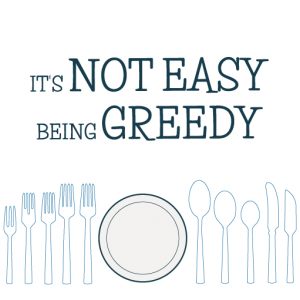 That sounds like a plan to me, so I am hoping to spend the next few weeks emptying my freezer so that I can re-fill it with simple go-to meals such as shepherds pie, bolognaise, lasagne, pizza dough, stews, curries etc. I also want to make some cakes and biscuits so that I have snacks in stock for when people come and visit us and the little one (and for when I need a quick energy pick up!). Thursday – a night out, so no dinner! 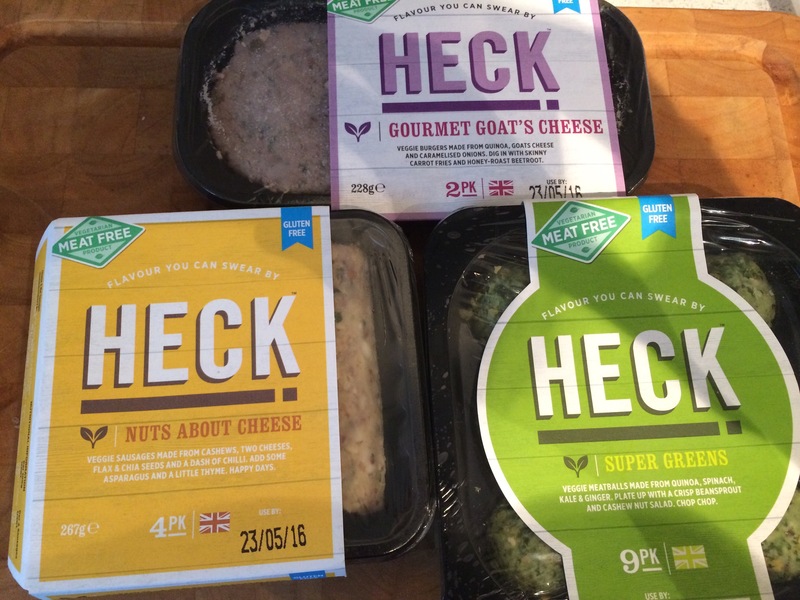 I was also sent a pack of goodies from Heck this week to mark Vegetarian week, so I’ve decided to munch through these for packed lunches this week … I’ll let you know next week what I think of them.